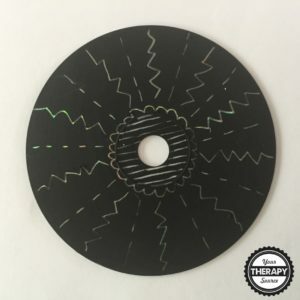 I love scratch art and always have even as a child. Now as an adult I am way too cheap to buy all the expensive papers. You can make scratch art paper using crayons and paint but it is labor intensive. When I came across this blog post from iCreativeIdeas on Pinterest I knew I had to try it. It looked too good to be true. The part that I was skeptical about was being able to use regular acrylic paint. But guess what it works! 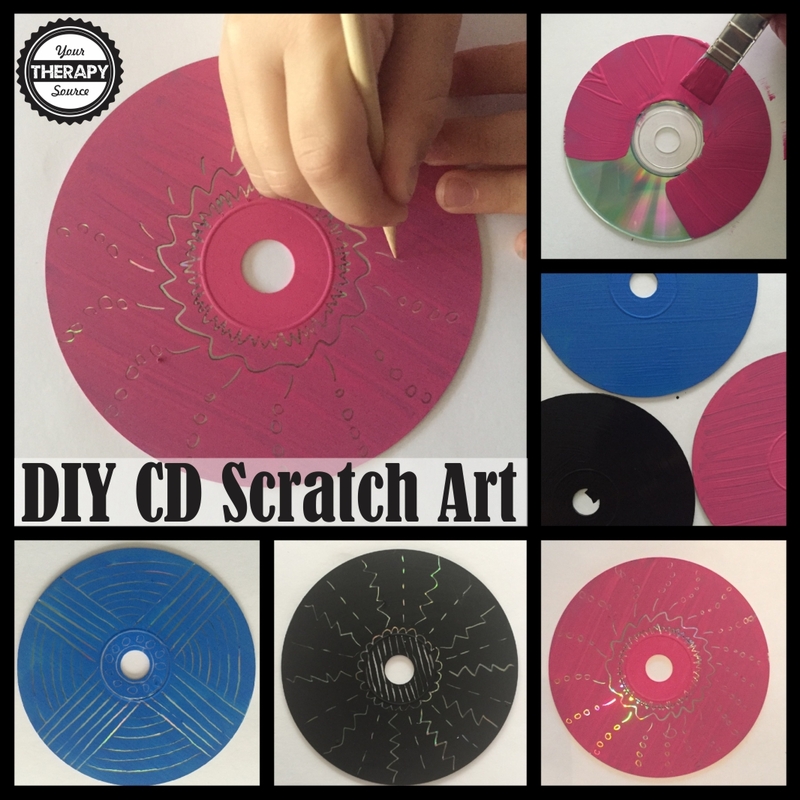 This is a super simple way to make DIY scratch art. 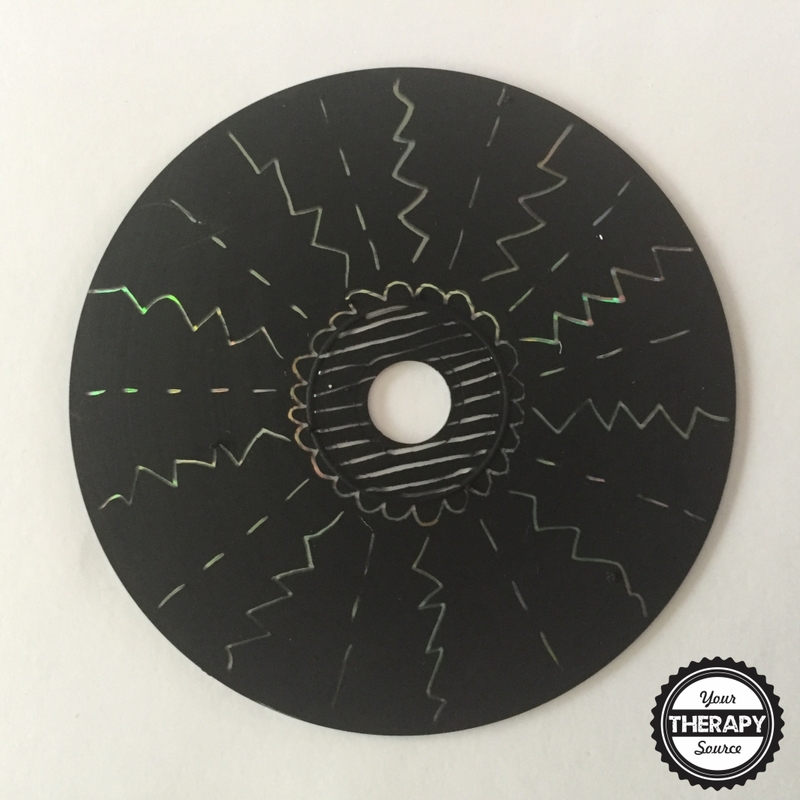 You can add some pizazz to prewriting skills and drawing skills when you do scratch art. Bonus tip – may help some students to increase pressure on the pencil when writing since you need to press hard when doing scratch art. First grab some recycled CDs. If you don’t have any ask anyone born in the 70s or 80s for some, they most likely have some. Another option is to check with your school’s IT department – they probably have some old ones hanging around. Paint the shiny side of the CD with acrylic paint. Let it dry completely. 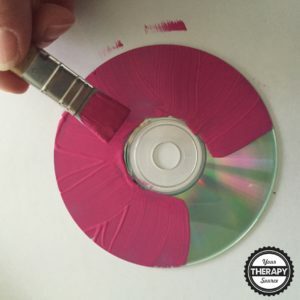 I do recommend you use dark colored paint so the reflective mirror part of the CD shows through and shines. 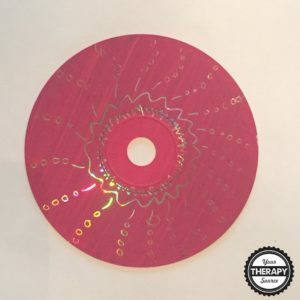 Once it is completely dry which does not take long you can start using it for scratch art. Grab a sharp object to draw a scrape away the paint letting the mirror like CD shine where you draw. Create whatever design you like. 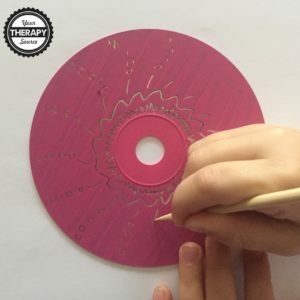 You could even draw lines in pencil first if you wanted the student to practice drawing particular lines or shapes. I even found it to be less messy than purchased scratch art paper. You could make it a collaborative, group project and make a mobile to hang when done. So, this project actually was as easy as it looked on Pinterest. Woohoo! 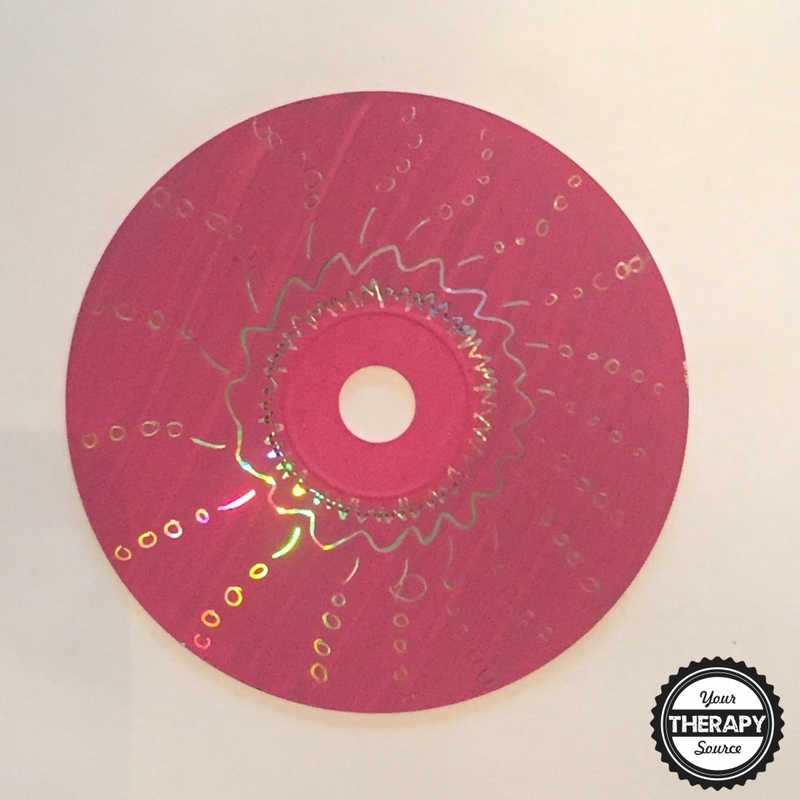 And I found a cheap way to make scratch art!